The centre is an ideal location for visitors to explore Australia's rich and vibrant past and Indigenous spirit. The heart of the centre is Waradah's custom-built theatre. 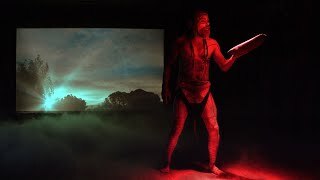 The live theatrical performance, The Story of Australia is a narrative of Australia's colourful history from it's rich Indigenous heritage to it's present vibrant communities. 30 minutes. Sharing the theatre, is the movie, Banggarai. 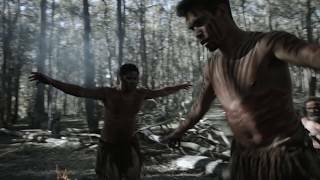 Produced by Waradah and filmed in the Blue Mountains, Banggarai is a coming of age tale of a young Indigenous man at the cusp of white settlers entering the mountains. 20 minutes. The latest multimedia software and hardware, project related images on to three screens. Investments in Acoustiguide’s software allow International visitors to experience the performances/movie in one of eight languages. the Blue Mountains. Similarly, the newly refurbished gallery provides a vast collection of contemporary and traditional Aboriginal artwork from the Central and Western Desert. Domestic educational packages, created with the current NSW Educational curriculum in mind are held at dedicated rooms and are geared at engaging, and broadening students' understanding of Australian Indigenous culture.